One of the first refugees Governor Ray rescued and resettled in Iowa was a young man who was trapped in one of the most treacherous and threatening environments on earth - Washington D.C. That person he rescued was me. 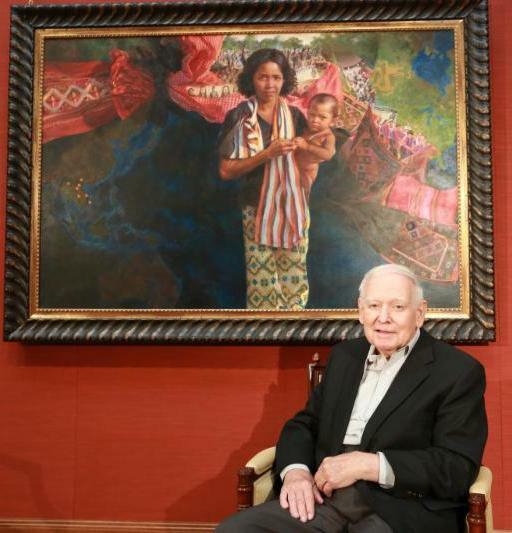 He brought me and my wife Le Son and our children home to Iowa where we became part of Governor Ray's extended family. For 4 years, I worked closely with the Governor on many of his humanitarian endeavors. -- In the winter of 1975, at the celebration for the Tai Dam refugees from Laos, whom he had rescued and resettled together in Iowa in order to preserve their culture, language and kinship. The Tai Dam had written to every Governor in America, but Robert Ray was the only Governor to answer their plea. He convinced President Ford to permit all of the Tai Dam to come to Iowa. They have been here ever since. 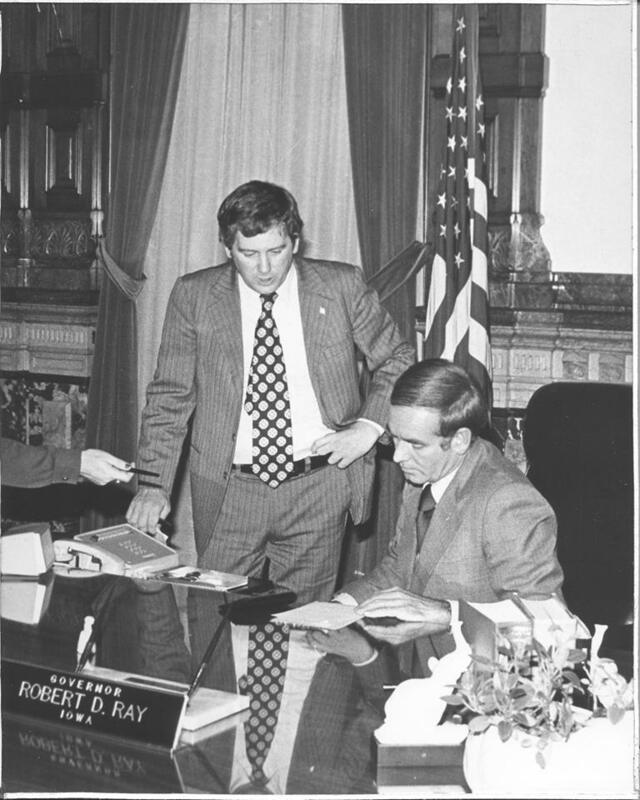 This so impacted Governor Ray that he wrote late that very night to the President, saying that Iowa would double the number of refugees it had resettled if only the President would reopen America's doors.-- Or, on a cold January night in 1979, while he and I watched the video of a boat filled with Vietnamese "boat people" refugees, who had escaped from Communist oppression only to be pushed back out to sea by local officials fearful of being inundated because no country in the world, including the United States, was accepting any more refugees from Indochina. We watched in horror as their boat broke up in the waves, with the refugees drowning before our eyes. His letter and lobbying in Washington worked! America's doors were reopened. -- Six months later, in June 1979 we were together in Geneva, Switzerland, at the UN conference on the Boat People, where Vice President Walter Mondale announced that America would accept 168,000 new refugees each year. This led to over 1,000,000 refugees from Indochina eventually being resettled in the United States. The assembled diplomatic delegations gave a spontaneous standing ovation to America's humanitarian leadership, a leadership that began when Robert D. Ray became the first governing official anywhere in the world to say he would accept the Boat People refugees. -- A few months later in October 1979, I was with Governor Ray at Living History Farm in Des Moines, as Pope John Paul II appeared before 350,000 people. Among those bringing the gifts to the Pope to celebrate Mass were Vietnamese Catholic refugees in their colorful native dress. - This scene of incredible human suffering led Governor Ray to create Iowa SHARES. Iowa Sends Help to Aid Refugees and End Starvation. With contributions by Iowans across the state, we rushed food and medicine that arrived on Christmas Day, to feed people who had been eating insects to survive. This was followed by volunteer Iowa doctors and nurses. Together this saved thousands of lives. 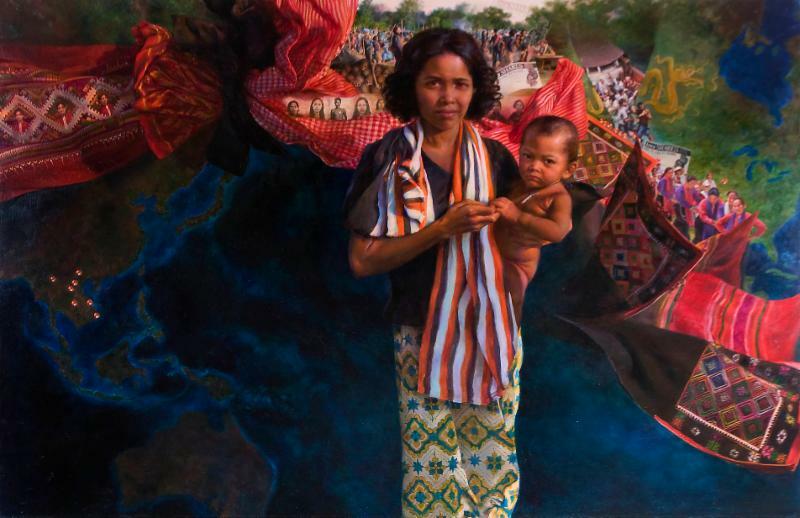 -- On that same trip, we were in Nong Khai in Thailand, where the Tai Dam, Lao and Hmong refugees were waiting uncertain about their fate. These refugees said they wanted to show us their "symbol of hope." They took us across a muddy field to a thatched hut. Beckoning us to look inside, they said "there is our symbol." Tacked on the wall was the Iowa Department of Transportation highway map. Governor Robert Ray had made the shape of our state a symbol of hope for people languishing in a refugee camp 12,000 miles from Iowa. The common thread in all of these experiences was that Governor Ray was driven by moral impulses planted deep inside him by his parents, the educational institutions he attended, and his religion, and nurtured by his wife Billie and his children. When confronted by scenes of human suffering, Robert Ray responded, not as a political candidate doing an electoral calculation, but as a Christian following a moral imperative from the parable of the Good Samaritan. -- Or, even if they were thousands and thousands of miles away on the other side of our planet, or adrift in the ocean. Through his actions, Governor Robert Ray answered the eternal question - "Am I my brother's keeper?" Even though the impact of Robert Ray's leadership would often occur far from Iowa; The one story that most poignantly captures Robert Ray's humanitarian legacy and his place in the pantheon of Iowa's greatest heroes took place about 10 years ago, not in the Governor's office or far from Iowa, but in a supermarket in West Des Moines. As Governor Ray described it to me, he and Mrs. Ray were shopping for groceries, pushing their cart down the aisle, when, as can happen, they almost bumped into a cart being pushed by another shopper -- in this case, an Asian man. When he saw it was Governor Ray, the man stopped; walked over to the Governor and extending his hand, said "you saved my life. I just want to say thank you." Today thousands of Tai Dam, Lao, Hmong, Cambodians and Vietnamese who live in Iowa just want to say thank you. In a very real sense, Governor Robert Ray saved them all. And all of us, whom he made so proud to say we are Iowans - we just want to say thank you. Governor Ray uplifted my life. He uplifted all of our lives. And his legacy will uplift countless, thousands and thousands of others far into the future.